You might have already heard or read by now that comex has lived up to his promised and has released Spirit – the untethered userland jailbreak which works on iPhone, iPad and iPod touch. Spirit, which works on both Windows and Mac OS X can jailbreak all the newer iDevices like iPhone touch 3G and 2G (MC model), iPhone 3GS and the newly released iPad as long as they are officially activated via iTunes. If you have one of the newer iPod touch 3rd-gen, or iPod touch 2G (2nd-gen), which came with iPhone OS 3.1.3 as pre-installed. If you have ever tried jailbreaking this model, you would know how annoying it is to greet with that “Connect to iTunes” screen every time you restart it. This is because it was jailbroken using tethered jailbreak method. But now with Spirit, you can jailbreak your device as untethered, which effectively means that you are no longer required to re-jailbreak your iPhone or iPod touch every time you restart it. We have already done detailed guides on: How to jailbreak iPad on OS 3.2 with Spirit; and How to jailbreak iPhone 3G/3GS on OS 3.1.3 using Spirit. Since the method to jailbreak iPod touch is similar to that of iPhone, or even iPad, you can simply go ahead and follow the respective guides posted here and here to jailbreak iPod touch 3G on OS 3.1.3 untethered. i have an ipod touch 3.1.3(7e18) mc model, will this jailbreak work on it or not? 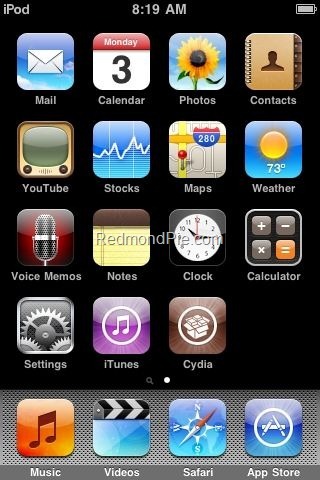 i jailbroke my ipod 2g 3.1.3 and nothing has happened.can anyone help?? when you jailbreak something it uses itunes and the app store to download the apps and music but if u try to use the app store or itunes store it will charge you for all the apps and music u have bought……can u get music from jailbreaks? Failed to jailbreak(error code c00005a)..? yes you can. go into cydia and go to search. Look up Dtunes. Installit and now you can download any music you want to your ipod for free. It is very user friendly. i tried to jail break and it just gave me error code. this site is the same as every other jail breaking site that ive gone to. SCREW YOU spirit!!!!!!! i have the same problem and i tried to restore, but can’t! i tried it and that didn’t work. just went to the apple logo. means u have to downgrade your itouch because you upgraded it or you have wait until someone figures out the new version.